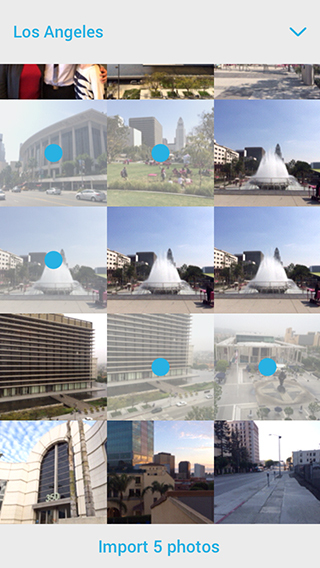 Polymo is a new camera app for the iPhone and iPod touch that launched earlier this month with a focus on letting you organize your photos with tags. 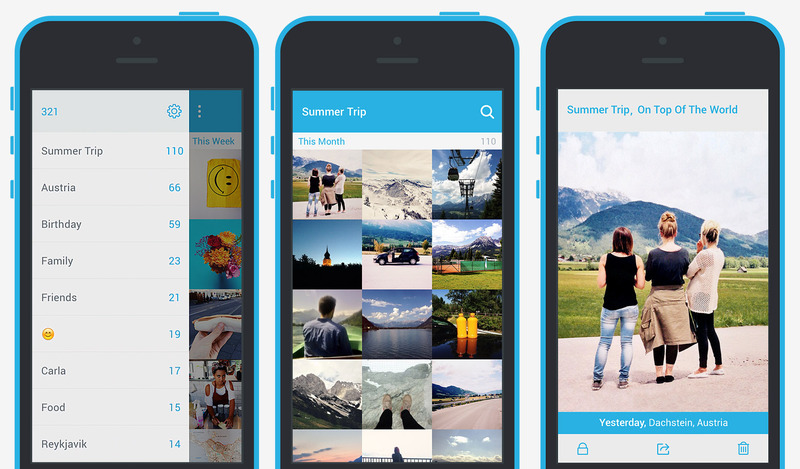 The developers pitch it as a “better place for photos on iOS” thanks to the app's clean design, simple gestures, and elegant interface. Unfortunately, I don’t think Polymo is a replacement for the Camera Roll, but don’t dismiss it straight away; there are still appealing aspects of Polymo that may make it useful for you. I think it is important to highlight Polymo’s limitations first, because they are quite significant. They stem from the way iOS works and at the root of that is the fact that Polymo is effectively creating a second Camera Roll, not augmenting the one from iOS. That means that any photos you take from the official iOS camera app (including those from the Lock screen camera) are not automatically added to Polymo. That's a particularly big deal for people, like me, who almost exclusively use the iPhone's Lock screen camera. It also works the other way: photos you take in Polymo are not automatically added to your iOS Camera Roll. Now, Polymo does have the option to import photos from the iOS Camera Roll, but this poses the second fundamental problem. Because you are importing the photos, you are duplicating them on your device - the same photo now exists in Polymo and in your iOS Camera Roll. This can quickly become an issue if you already have limited space left on your iPhone, and it probably explains why the app doesn’t automatically import photos from your iOS Camera Roll like various cloud back-up services do. Besides, it is just more work to have to remember to import all your photos into Polymo and tag them. Given those fundamental issues with Polymo, it’s hard to see anyone practically using it to tag all their photos. But I can imagine an alternate use of Polymo as a photo library for specific use cases where organization is vital. As an example, someone building a new house could create specific tags for furniture or fittings that they come across and like. They could come back to Polymo months or years later and view the relevant tag with just those images - rather than having to scroll through hundreds of images in their iOS Camera Roll, trying to find the proverbial needle in a haystack. If you can live with the fundamental limitations of Polymo there is some good news - the app is gorgeous. It is an app that fits right in with iOS 7 (as you would expect by now), but the Polymo team has gone a step further and added their own design flourishes that are not standard but look and work great. For example, when you are viewing an individual image in Polymo you can tap and hold to bring up a radial UI, with buttons to save the image to your iOS Camera Roll, copy it to the iOS clipboard, or rotate the image. Another example is how you can select multiple images in your gallery by tapping and holding and then swiping over images you want to select - no more frantic tapping to select dozens of images. This second example is particularly helpful when you want to import images from your iOS Camera Roll (which you can do by going to Polymo’s Settings). If you want to see these and more of Polymo’s design flourishes that are accessible with gestures, check out the developers' website where they’ve posted Vine videos demonstrating the various gestures. I must admit to being a little baffled by their choice to implement (by default) their own one-finger zoom which would be great if it didn’t also prohibit you from using iOS’s default pinch gesture - but thankfully that can be turned off. It’s important to note that the time it takes for Polymo to open and let you take a picture is really short. At least on my iPhone 5s, I couldn’t tell the difference between it and the official iOS Camera app. Polymo’s camera has all the options you would expect, from flash settings, front/rear camera switch, and the option to choose between rectangular or square photo dimensions. But there is also the option to add tags so they are automatically added to any images you take. There isn’t much to say about the gallery screen in Polymo, which is accessible by swiping right from the camera screen. This is the screen where you view all your photos in Polymo’s camera roll, and it is also where you can search for photos with specific tags (using the search bar at the top) or view photos from selected tags (by sliding the tag list drawer out from the left of the screen). Yes, you can use emoji as tags. It is worth noting that Polymo comes with a Private Mode, where you can hide images behind a passcode. You can set this up in the settings and then access private photos by swiping down on the tag list, selecting ‘Private’ and entering your passcode. Another neat of feature of Polymo is that it will automatically convert your tags into hashtags if you want to share one of your photos on Twitter or Facebook. Fundamental limitations prevent Polymo from being a replacement for the iOS Camera Roll, but there may well be an alternative use case that makes Polymo useful for you. If that’s the case, I think you’ll find an app that is a joy to use and well worth the price of admission. Polymo is available from the App Store for $1.99.